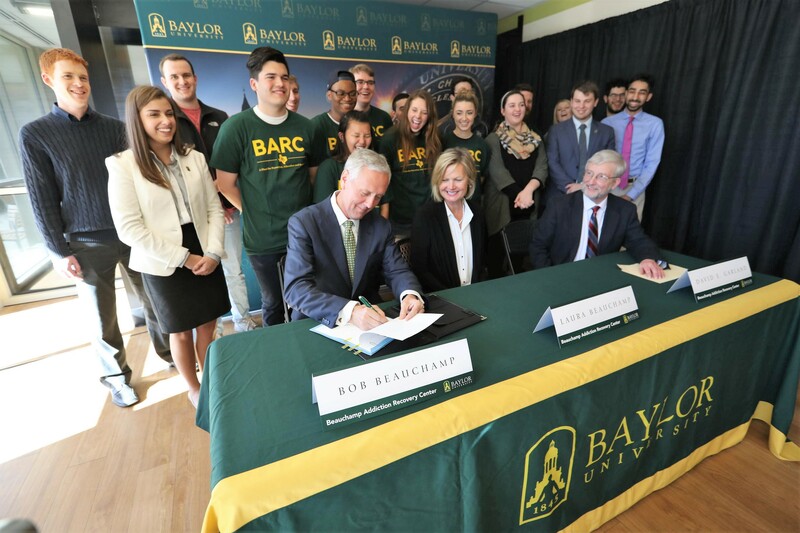 WACO, Texas (Jan. 30, 2017) – Baylor University’s continued commitment to meeting the needs of students took another step forward today with the creation of the Beauchamp Addiction Recovery Center. Made possible by a $2.5 million gift from Bob and Laura Beauchamp of Houston, the multifaceted program will dramatically enhance Baylor’s efforts to foster the holistic well-being of its students in a manner that reflects the University’s values as a Christian community where wholeness, spiritual growth and academic success are priorities. 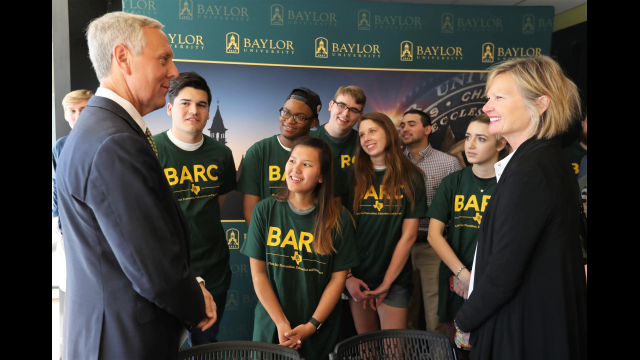 The Beauchamp Addiction Recovery Center, referred to on-campus as the BARC, is part of a broad effort at Baylor to advance the well-being of its students. The Beauchamps’ lead gift launches the first phase of Christian Character Initiative coordinated through the University Provost’s Office. 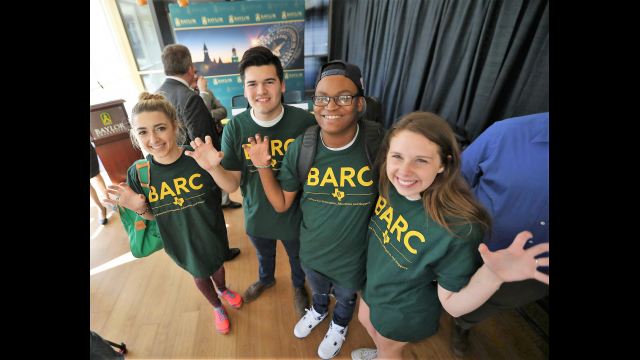 With an initial $20 million fundraising goal, the Initiative reinforces Baylor’s long-standing commitment to a Christ-centered education, bringing together a range of programs and experiences in a coordinated and powerful endeavor to help students thrive and flourish. On college campuses across the nation, young men and women are navigating a host of complex issues as they deal with the challenges and changing responsibilities of college life. For some, such challenges include alcohol and substance use disorders. Indeed, the nation’s college student population is disproportionately affected by this problem, as alcohol and illicit drug use is highest among 18-25 year olds compared to any other age group. Research indicates that 31.6 percent of college students across the country meet the criteria for substance use disorders. 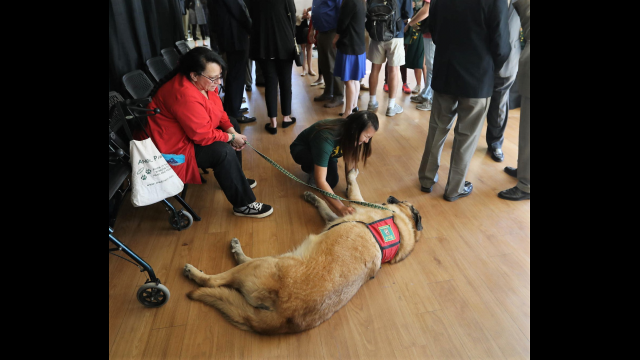 Baylor University’s students encounter the same challenges as their peers nationwide. 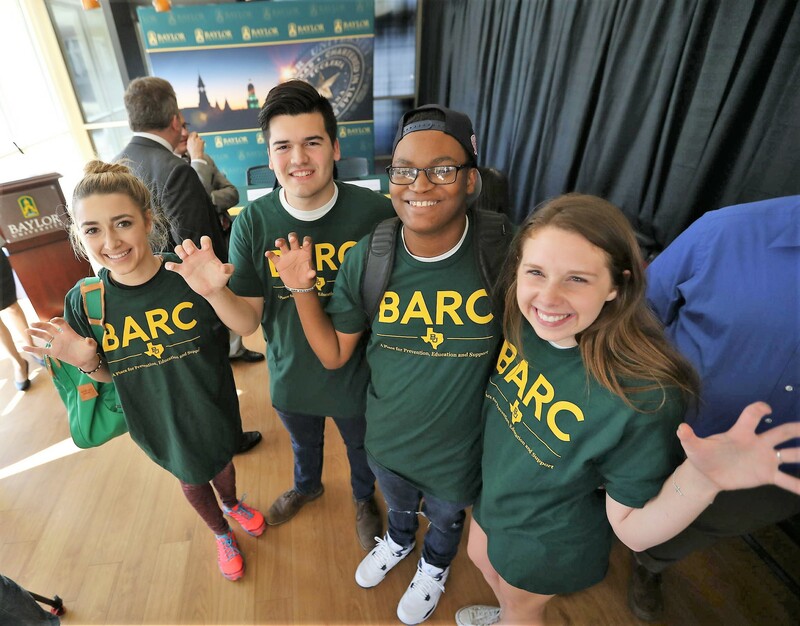 Recognized for its caring Christian community, Baylor has consistently sought to educate its nearly 17,000 students about the negative consequences of alcohol and drug use and to care for those in recovery from compulsive behavior and addiction. However, more needs to be done, both at Baylor and nationwide, to prevent substance use disorders and to provide support to students in recovery. The Beauchamp Addiction Recovery Center will provide support services for students who are in the initial stages of identifying an addiction, including counseling and possible referral to off-campus rehabilitation, as well as continued support for students who have completed rehabilitation programs. The program also provides reintegration support for students who may have left school and for students who are already in recovery. 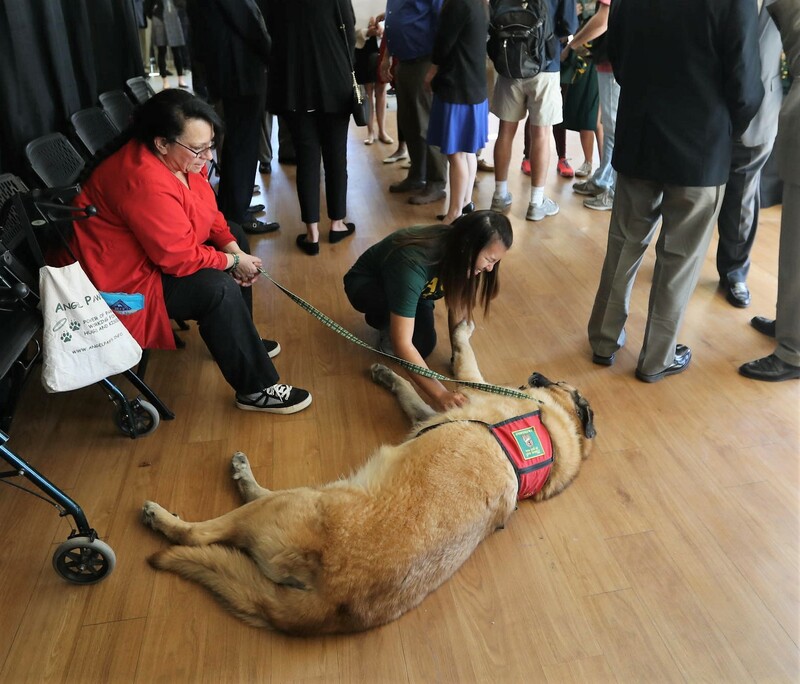 Until now, Baylor’s continuum of care has included recovery support services through the Baylor Counseling Center and Wellness Office. 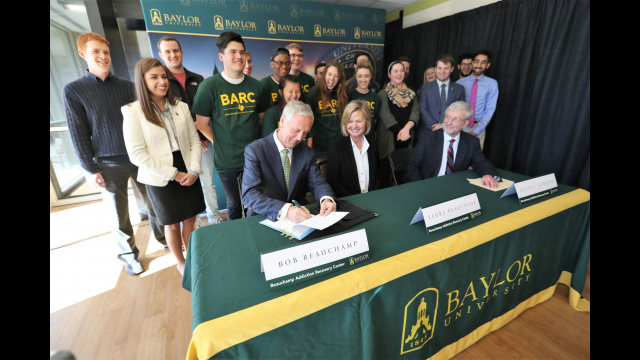 With the creation of the Beauchamp Addiction Recovery Center, Baylor is expanding that continuum to include a dynamic array of on-campus recovery services to support students and strengthen prevention education and intervention support. The Beauchamps’ gift will fund the Addiction Recovery Center and an endowment to support the Center’s staff and operations. The Center, to be located in East Village Residential Community, will create a friendly recovery community culture for students to connect between classes, study, host community and recovery support events and hold meetings. 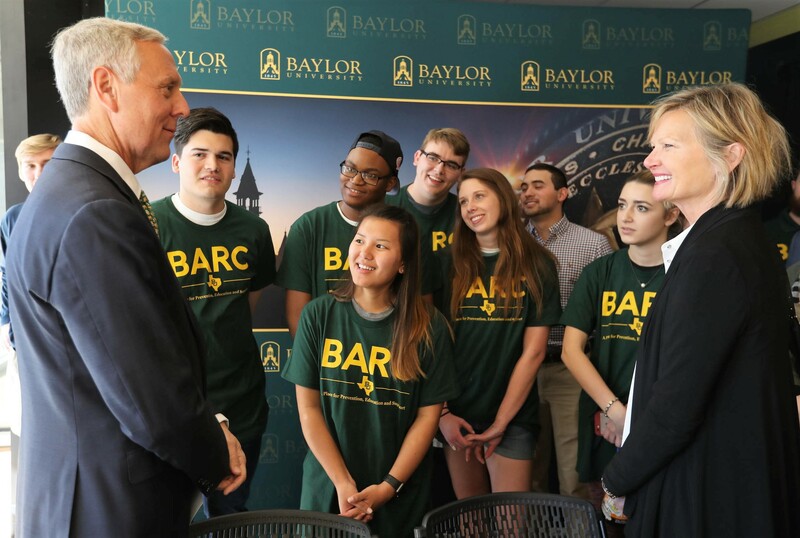 The endowment will support increased staff and a wide array of programming, including weekly support and community recovery meetings, recovery coaching and conversations with mentors as well as campus-wide educational outreach efforts that identify social environmental influences, provide education on the support services that are available at Baylor and encourage peer-to-peer support. 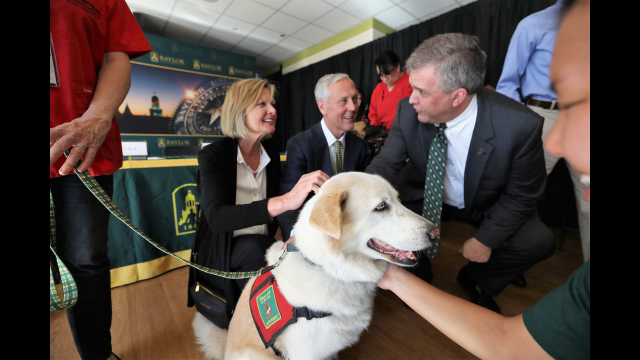 Future initiatives will include merit- and service-based scholarships awarded to students in recovery and the creation of housing space on or near campus that will allow Baylor to match students in recovery with others who are committed to supporting their success. 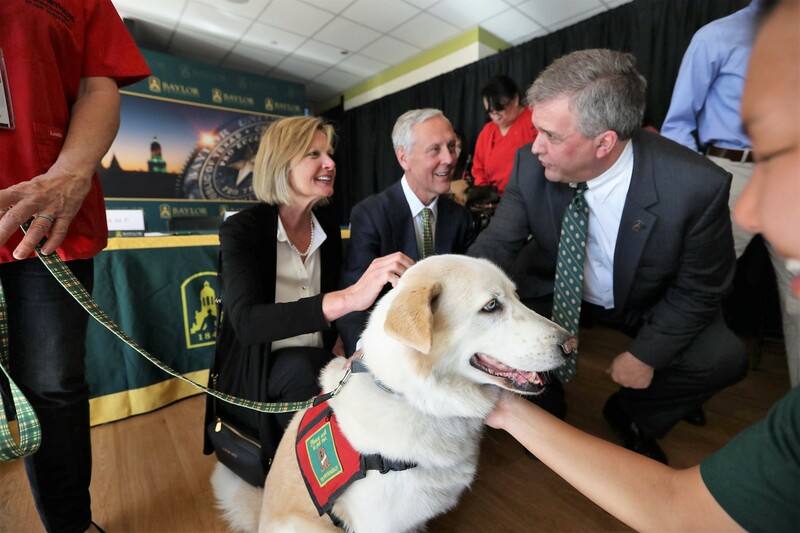 Baylor has long been committed to seeking to educate and care for the whole student – encompassing physical health, spiritual maturation, intellectual development and social life. The Christian Character Initiative will focus on intentionally designed programs that cultivate an environment in which programs directed at specific needs and goals are seamlessly and dynamically integrated into the whole of campus life. In addition the Initiative will continue to strengthen the infusion of issues foundational to Christian character into academic courses and student life initiatives across the University; work with campus leaders to build and strengthen co-curricular opportunities that enhance virtues and leadership capacities associated with character; and establish a Living-Learning Center focused on Spiritual Development and Character Formation. 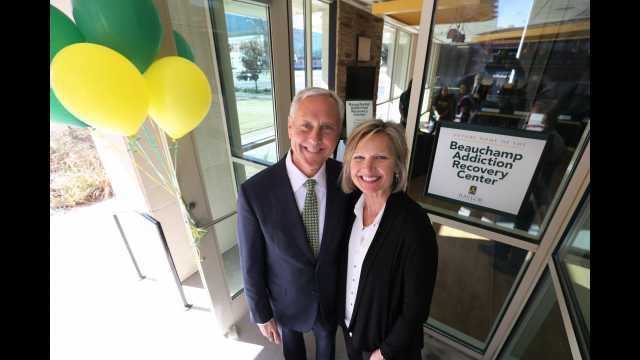 A member of Baylor’s Board of Regents since 2009, Bob Beauchamp earned a B.B.A. from the University of Texas and an M.S. in management from Houston Baptist University, while Laura Beauchamp earned a B.B.A. from the University of Texas. They have four sons and two daughters-in-law, five of whom have been or currently are Baylor students: Jack Beauchamp, B.B.A. ’10, and his wife, Hayley Beauchamp, B.S. ’10; Tom Beauchamp, B.B.A. ’12, M.Acc. ’12, and his wife, Christina Beauchamp, B.S. ’12; George Beauchamp; and Jim Beauchamp. 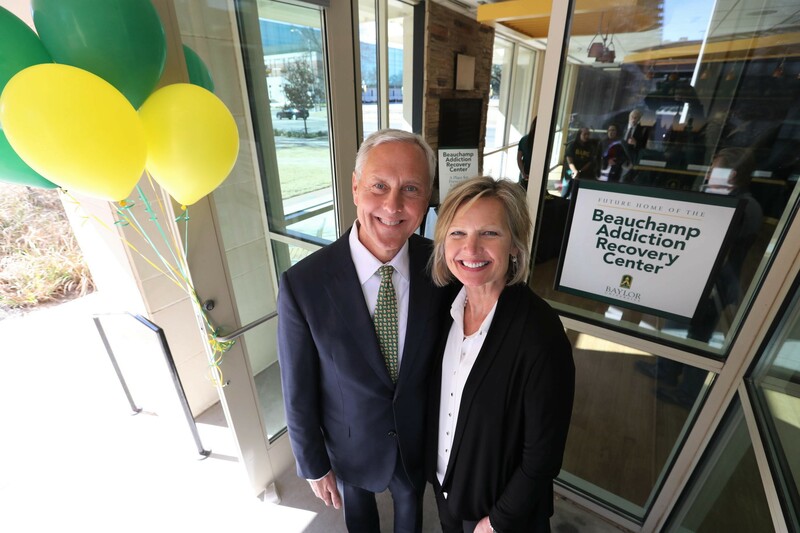 Bob and Laura Beauchamp served on the Steering Committee for the $100-million President’s Scholarship Initiative at Baylor, and in 2007, they established the Bob and Laura Beauchamp Endowed Scholarship Fund at Baylor. In addition, in 2013, they made a gift of $3 million to create the Beauchamp Athletics Nutrition Center.